I used to be a runner, but because of joint problems I had to stop running. 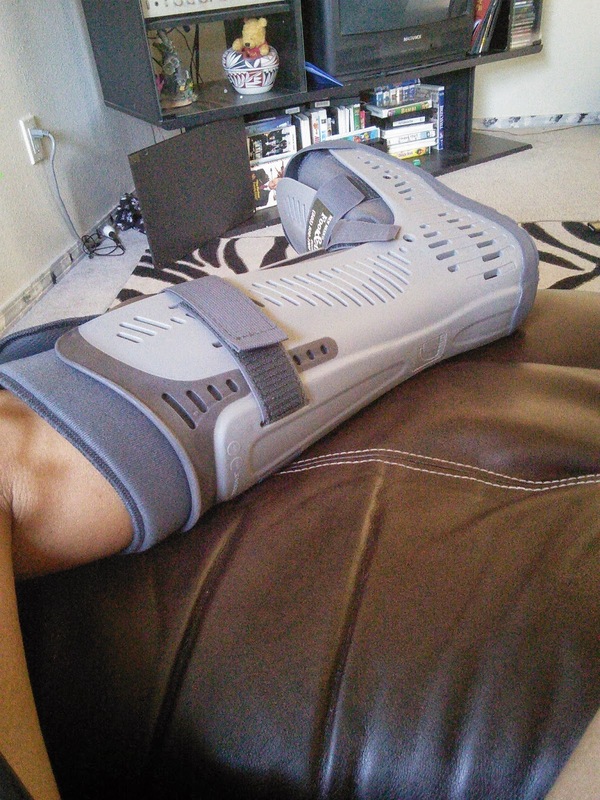 The last time I went to the foot doctor for my joint/tendon problems, they gave me a walking boot. I had to wear this massive thing for three weeks and I had to stop all exercise. The walking boot also made me super slow when I walked. Old people with walkers were faster than me. My joint/tendon has come back and I am trying to heal it on my own so I don't have to wear the boot. I was taking ibuprofen several times a day and that seemed to help but it was not doing my stomach any good. I sought out a natural alternative and discovered that Turmeric was good for pain and inflammation. The only problem was, I would have to eat a spoonful of it to get the benefits. I knew I could not handle the taste of that, so what was I suppose to do. 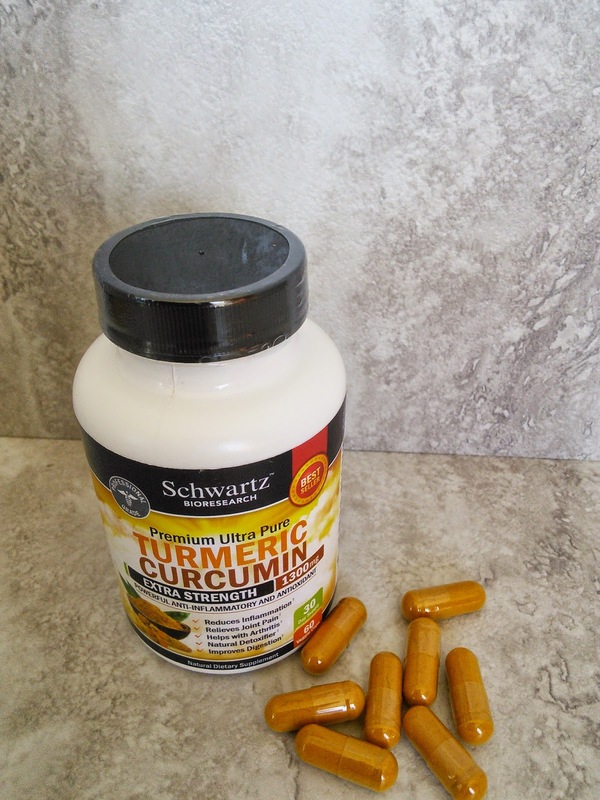 I discovered that Schwartz Bioresearch makes Premium Turmeric Curcumin in an easy to swallow capsule and had to try it. I was sent a bottle of the Turmeric capsules to put to the test. All I had to do was take 2 capsules, 1-2 times a day to help with my joint problems. I liked that this was a natural option so I did not have to take ibuprofen which was hard on my stomach. Premium Turmeric Curcumin is a natural and organic joint pain relief solution that also has anti-inflammatory effects too. This supplement also is an antioxidant which supports liver, aging and vision health too. It is a 100% safe and natural answer to your ailments! I love that this supplement uses natural turmeric and is free of GMOs, preservatives, fillers, additives and binders. I just took 2 capsules in the morning and 2 after I walked. These capsules helped me with my joint pain so I am able to walk without pain. I still can not run, but that is OK for now as I don't have to wear the massive boot. Check out Premium Turmeric Curcumin and get more information on these links. Tumeric is a fantastic thing -- You can find it many Indian foods, too. I like the considerations they've put into it too. Most especially I like that it's in an easy to swallow format. I like the capsule best. Hey, sounds like it worked for you! I hope it continues to improve over time! I need to buy it from amazon. Thank you for share to us.